This year a group of young people, WEYDA members, have started a new and exciting project surrounding Fake News and Propaganda. They are busy exploring past and present, news and media to spot how Propaganda is being used and spread. They have been visited by a range of trainers this half term including Duncan, a story telling expert who has trained them to understand the techniques people use to produce Propaganda, this will help them spot it in the future. He has also helped polish their public speaking and presentation skills which will be very useful later on in the project. 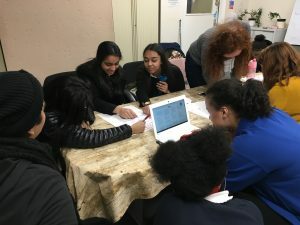 The organisation, Challenging Youth Racism, has also visited and engaged them in discussing how different groups of people are affected by Fake News and to understand their own opinions. The WEYDA group have also already started to produce a toolkit to teach other young people about Propaganda and Fake News. They will be collecting the opinions of the public at pop-up events over Easter and Summer which they will organise. Phil of Clued up Kids has trained them in putting together a survey and to ask the right questions to collect exact information for analysis. He has also introduced them to a great way of collecting information using a digital voting system. 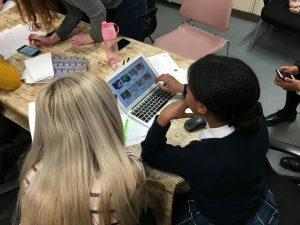 The young people have had many sessions where they have debated, learnt about laws and politics surrounding Fake News in the US and France and researched areas in which they are particularly interested in. The Group’s next stage is planning their events to bring the community together. We will be advertising them very soon, so keep a look out!